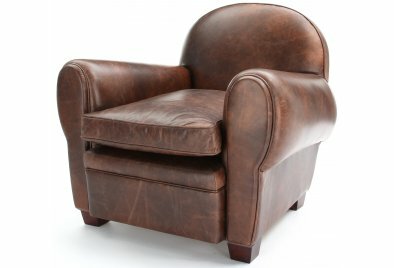 This is Cello one of our favourite Vintage Leather Club Chairs, how flea-market is she? If you'd found her yourself you'd have sworn she was the real 40s thing. 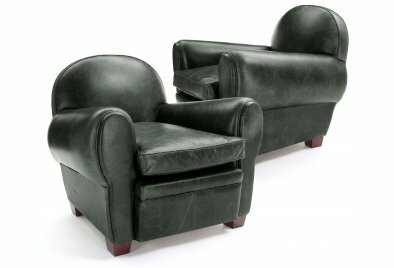 She has a beautifully rounded back and cello-curved arms, a true bass-note Leather Club Chair if ever there was one. She's super comfy and look how welcoming she is, all thanks to her deep sprung back and yawning seat cushion. Her cushion is made with a solid foam core so she keeps her shape no matter how old she gets, and it has a soft, duck-feather top pad that makes her comfy as can be. Before you go, be sure to say hi to Hector, you won't find a retro English Leather Armchair quite like him.